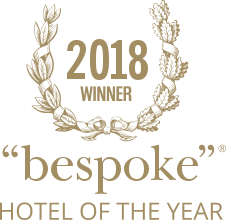 This award-winning luxury hotel and spa in the heart of Chipping Campden, Gloucestershire, which has recently benefited from a substantial refurbishment, will appeal to discerning travellers visiting the Cotswolds, looking for tranquility, sublime comfort, exceptional food and a stunning spa. The contemporary style makes Cotswold House and Spa one of the most admired boutique hotels in the Cotswolds. With its idyllic location, flexible mix of spaces and immaculate service, it stands as an ideal venue for board meetings, away-day training and corporate events. Dining is available in both the informal Bistro On The Square, alongside fine dining dinner service in Fig Restaurant. Whatever your plans - whether you're wanting a longer stay to explore the Cotswolds and Stratford-upon-Avon, a romantic weekend away, a well-deserved break in the Cotswolds with family and friends, a Cotswold conference or Cotswold wedding - Cotswold House and Spa is the perfect location. The Spa facilities are complimentary for all Cotswold House Hotel residents. Please be aware that the busiest times of the day are generally between 2pm and 5pm so in the interests of fairness and safety we may restrict entry and or limit access to 2 hours during busy times. You are welcome to use the Spa facilities from 1pm on day of arrival up to 1pm on day of check-out. The Spa is only available to guests aged 18 and over.